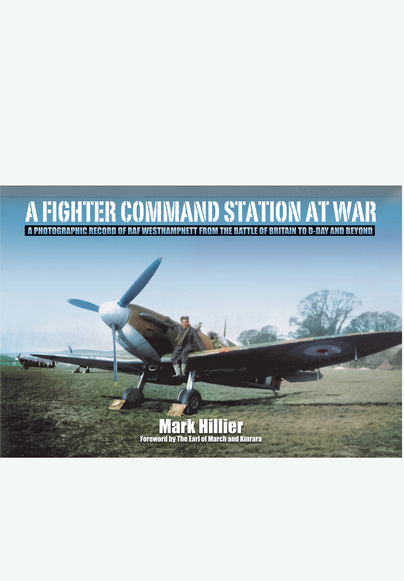 You'll be £10.00 closer to your next £10.00 credit when you purchase A Fighter Command Station at War. What's this? As it says on the jacket, this is a photographic record of an RAF fighter station from the Battle of Britain to D-Day and beyond. It is however also accompanied by some well-written text that probably amounts to almost 50% of the page space. An emotive record of the young men and their machines operating from RAF Westhampnett. Will appeal strongly to all those followers of WWII history and the air war in Europe, recommended. ... This is a really interesting read and brought to life by the personal accounts of events from the period along with a collection of photographs which not only includes pictures of the men who worked there, both pilots and ground crew, along with many pictures of the aircraft and ground equipment in which modellers will find plenty of useful references and ideas. These days Goodwood is a popular destination for the Festival of Speed in particular but if you read this before your next visit, it may help give you an appreciation of the recent history of the land where this modern event takes place today. As seen on Sky & Bullets. A very good an informative written work and great photos. This book tells the story of a fighter command base in Sussex initially known as RAF Woodcote by the ground crew but later RAF Westhampnett. The author details how it served the country - without fail - for such a long period of time. From the Battle of Britain through to Arnhem. It is a touching book that includes many first hand accounts by pilots and ground crew and a large number of black and white images of those squadrons and ground crew associated with the airfield. Well researched and well worth a read.